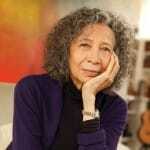 After retiring from practicing law, Gina Sharpe cofounded New York Insight Meditation Center. 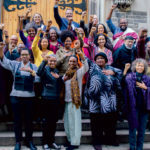 At the first-ever gathering of Buddhist teachers of black African descent held at New York’s Union Theological Seminary, two panels of leading Buddhist teachers took questions about what it means to be a black Buddhist in America today. 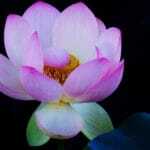 For December, Lion’s Roar features teachings on a powerful practice: compassion. 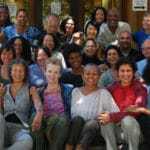 Here, Gina Sharpe offers a short introduction to generosity, explaining how it can be the beginning of the end of suffering. 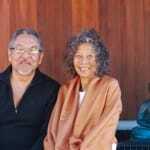 Gina Sharpe and Larry Yang share how the most diverse Buddhist teacher-training program in American history, now underway at Spirit Rock, came to be. 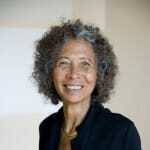 Gina Sharpe says the most important Buddhist teaching for the world today is to have a compassionate heart. 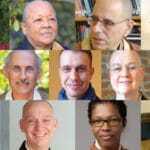 Thirteen leading Buddhist teachers call on Buddhists and all people of faith to take a stand against policies of the new administration. 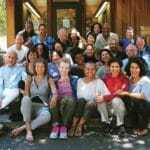 Gina Sharpe, Lila Kate Wheeler, and Larry Yang, core teachers of the Teacher Training program at Woodacre, California’s Spirit Rock Mediation Center, share about this year’s participants. You can’t stop people from being angry at you, advises Insight Meditation teacher Gina Sharpe, but you can change how it makes you feel.